“You know, parents hope children can do many things because other children can also do many things,” she countered. “Sure, they want their kids to be the jack of all trades, but master of none,” I replied. One can surely do many things but it is quite difficult to be a master of oneself. In high school I was a pretty good swimmer. I really thought I was going to make it to the State Championship. At the final meet, I was shaken up. The guys there were unbelievably fast. I tried hard, but I knew it was hopeless. That is not to say that you should give up and don’t try, but instead, focus on what your child is good at. If you’re kid is a talented sport prodigy, then go for it. I’m happy for you. Mazel tov! But if s/he is chasing to shave off three seconds and s/he’s been doing it for the past four years, you might want to rethink about other alternatives. When I came to China seven years ago, I didn’t have anyone else to turn to. It was either I make it or I don’t. I felt like I was being thrown into a forest—alone. I couldn’t speak Mandarin. I had no idea how to communicate with people. I didn’t know anybody. Any “normal” human being would try to seek out friends or follow others. But I didn’t. I kept the anxieties, worries, expectations, and fears to myself. On top of that, the nature of my work taught me to be away from friends. The only people I had were my colleagues. I’d go out when “normal” people were working in the office, and I’d work when they were going out and socializing. However, this is no conclusion that I was anti-social. It meant that I had to understand myself. It meant that I had to be able to navigate through the forest without being supported by others. Once I was able to be with myself—without being broken emotionally from within—the feelings, the anxieties, the fears, and the worries slowly dissipated. Duly note that being alone does not mean being lonely. They are two different things. Being alone means to be content with yourself. To be self-reliant. To be self-sufficient. To be trustworthy to yourself. Loneliness is to be reliant on others, to be insufficient to yourself, to be untrustworthy to yourself. It is difficult to trust yourself, to have a strong heart. Imagine you’re a parent sitting at the dinner table with many other parents. Suddenly, one says, “I just got a call from my son that he is doing well in Cornell.” And another says, “My daughter is taking a double major in Stanford.” And you ask yourself: where does your child fit in all this? Would you be willing to say that your kid goes to an average school and that s/he is happy with the course load and gets enough time to pursue his/her craft? You would if you trust you child. But in order to do that you have to trust yourself. When you trust yourself, other people’s opinions become insignificant. When you trust yourself, their ideas turn to dust. You grow to be alone. You become your true-self. And nothing else matters! Do you know how easy it is to see whether parents have trust in themselves? From the way they teach their children. Let me explain. “And have you experienced that feeling yourself, ma’am?” asked the old gentleman. “No, but a famous musician convinced me and I believed him,” she replied. Are we so crippled inwardly that we tell our children to look at others and duplicate their persona? Are we that confused about ourselves? First, don’t ever ask your kids to follow someone else other than you. Second, the musician said what he said because he knows his true-self and that is his way of expressing himself, his talent—maybe. When parents know their true-self, kids follow them. Those who are fishing skills right and left are confused, unfortunately. I hear parents say this a lot: “I don’t want my child to make the same mistakes I made.” And I usually respond by asking them whether they felt they’ve learned from their mistakes, and if they had to do it all over again, whether they would choose not to make these mistakes—and thus not have learned from them. Sometimes this leads to the parent suggesting that s/he is worried that the child will turn out like them. Would it be okay if your child turned out like you? I mean it’s your child, your DNA. How can you possibly expect your fruit to be like that of somebody else? The apple does not fall far from the tree, remember? If one is incapable of accepting this, then why be a parent? All these questions have meaning only if parenting is mere vanity; arrogance and self-righteousness like any other. For I feel that nothing is impossible for the true parent. Caveat: Mostly notes to myself. Keep in mind, your circumstance and limitation, because, your fruit and resolution may vary. I don’t loathe personalized learning over institutional learning. In fact, I don’t have to prove a point to anybody. I do, however, have a position on the matter. Some of the ideas mentioned herein can easily be accomplished if one attends a more flexible private institution. As I can only offer an experience but never a conclusion, I don’t expect you to be persuaded by my observations. So what I said must be thoroughly examined by you. Without further ado, here are my ten reasons. Many people think it’s selfish to take kids out of school and teach at home. Newsflash: it’s not selfish if you want to spend more time with your kids. It’s following your natural instincts, since you and your children are meant to be together anyway. One of the greatest gifts you can give to your children is time. Of course it’s easy to get caught up in the daily routines and want to shoo the kids away (a.k.a. by putting them in school). Why not, instead, bring your kids along with you as you go about your daily tasks? Teach them what you’re doing. You can ask them to help sort out papers for your business orders, or, assist you cooking in the kitchen. Teach them and you will instill valuable life skills. I choose personalized education because I want more time with my son. I’ll read with him; play games with him. I wish to bring him to my meditation retreats. I wish to go hiking together; laugh with one another. I wish to teach him the many possibilities life has to offer. And, more importantly, I wish that he’ll be free as a bird. I will teach him to understand that life is not based on the law of scarcity. That success does not evolve over competition all the time—whatever the price. I will instill the clarity that how well he does in school is never a determinant of how well he’ll do in life. That life is not a narrow path of either Stanford or Burger King. That winning is internal contentment, not external achievement. Any child who spends an hour or two each day with an adult he or she likes, who is interested in the world, and likes to talk about it, will on most days learn far more from their talks than he or she would learn in a week of school. Kids are “wired” for control. Whether they’re growing up in San Francisco, London, or Shanghai, they have the “natural right” to direct their education and, most important, their life. Children are at risk of becoming anxious, ballistic, wrathful, and self-destructive when parents deny their ability to make meaningful choices. Without the sense of control, inner conflict will take its toll. What’s worse is not merely parental pressure. The formal school system does not permit such liberty. Meaning: kids have to attend classes they didn’t choose; they are taught by random instructors; they have to be obedient in class and eat on a schedule; they are required to rely on the whims of their teachers for permission to go to the bathroom. I choose personalized education because it gives children autonomy to do the things they want. It gives them the choice to voluntarily do their homework without being coerced by parents or teachers. And because those who have such privilege will be happier, less stressed, and, ultimately, more capable of navigating life. It shows they are confused about the social interactions in school. Children are limited to age groups where teachers control how, when, and where children speak. Forced association is NOT socialization. It is, for lack of a better word, BRAINWASHING. In case you’re not aware, children being boxed in a room all day doesn’t make them flourish and become well-rounded. I choose personalized education because children will always have the opportunity to communicate with people of all ages and not limited to a single group of segregated individuals. Children will have the freedom to connect with people “outside the box” from friends to mentors, from neighbors to their chosen instructors, and from coaches to members of the community. The typical life of a high school senior usually consists of keeping up with his final high school courses, filling out college admissions forms, gathering letters of recommendations, applying for scholarships, and perhaps, a part-time job, or, maybe even squeezing a bit of social life in between. A very busy person indeed. Before he notices, high school is finished, summer is over, and he’s off to college. As he becomes accustomed to living on his own, setting his own schedule, and choosing his own courses, he realizes that he never really considered why he’s going to college, and finds himself wondering what on earth he is going to do with the rest of his life. Most secondary schools spend very little time helping students evaluate their strengths and interests and decide what to do once they finish school. Even if they do seemingly try to help, most teenagers have very little time and space to think seriously and realistically about their intentions. If you personalize your children’s education, the picture is a little prettier. Even the most rigid and structured home curriculum leaves teens plenty of time to explore and decide for themselves what to do with their time. I choose personalized education because it gives parents the flexibility to tailor a program based on the child’s needs. More significantly, it gives children authority on how to use and manage their time. They can enroll in classes at a local community college when they’re fourteen. Institutions like Harvard Extension School and many others even allow learners to attend without a high school diploma. They have the opportunity to scout for mentors to work and learn from. They'll get ahead much faster when they're taught by successful people. They can try out different jobs. With real experience doing meaningful work, they free themselves from the stereotypical assumptions about college, jobs, and of course, opportunities. They can refute the general assumption that college is the only acceptable option. They can also discover—as well as investigate—numerous possibilities beyond the typical high school graduate. Heck, they even have the opt to delay college for a while until they gain more clarity over their interests and goals. Maybe they’d like to have some work or volunteer experience before they decide on a career direction, or perhaps they want to travel around the world before continuing their formal education. Sometimes they’d even forgo college entirely. A craft or hobby they started a few years ago may have developed nicely into a profitable business, or they may have an interest in a field that doesn’t require a college education. Whatever their reasons may be, they have the privilege and flexibility. Jenny, a fifteen-year-old high school student, walks from her family’s tiny and crowded apartment in Beijing, to her public school every day. She starts school Monday to Friday, from 8:00 a.m. to 4:00 p.m., and then she’s off to homework class until her mother picks her up around 6:30 p.m. upon leaving the office. At home, Jenny still has a few more pages of unfinished homework, two or three lessons to review, and practice her daily piano for two hours before going to bed at midnight. At school, Jenny finds it difficult to concentrate, has trouble retaining lessons, and her grades, well below average, are slipping to the point where her parents abuse her physically. Fifteen-year-old Max lives in a multimillion-dollar mansion and attends a posh private school in suburban San Francisco. His parents hope that he will make the cutoff for the National Merit Scholarship when he takes the PSAT next year, so he manages to fit in test prep between football practice, bi-weekly chess club meetings, volunteering for Big Brothers Big Sisters, and three to four hours of homework each night. He finds himself talking back to his parents and retorting at his classmates, and he complains of frequent migraines. We all know to worry about Jenny. She has a tough road ahead. What we don’t know is we should worry about Max, too. Jenny is battling chronic sleep deprivation, while Max is undergoing toxic stress every single day. Teenage years are important milestones in brain development, and both Jenny and Max are at risk of endangering their long-term mental and physical health. Today, you’d be one successful parent to have raised a child who is without any psychological glitch. I choose personalized education because I want children to be healthy and happy, to enjoy their childhood, to have less stress, to play with friends, to spend more time with their family; in other words, to live a normal life. Learning institutions condition children to be graded on arbitrary numbers by arbitrary instructors. Their learning system is unauthentic because it relies on memorization and wrote learning. Students are not measured by their understanding of the learning materials, but how they score on random selection of associated facts. They are not measured by how much effort they’ve put into practicing or how much they’ve improved, but by whether another kid in class happened to get a better test score last week. Of course, these are good exercises if you happen to live in a “controlled” ecosystem: a world with a myriad of ifs and thens. Unfortunately, the “real world” is chaotic. Reality is volatile and constantly changes. One moment everything seems to fall in place, another moment everything crumbles into pieces. That is life—unfortunately! Alas, spending nearly two decades in an augur setting, being confined in a building all day has no bearing whatsoever towards understanding life. I choose personalized education because I want children to redefine their entire life as educational experiences instead of probing into irrelevant materials and competing in intellectual gymnastics via weekly quizzes and examinations. Going out to play can be societal development and physical education. Grocery shopping becomes consumer math and nutrition cultivation. Cooking and baking together builds cooperative and hands-on learning. Completing household chores develops responsibility and time management skills. Library trips are research instruction and resource identification. Weekend excursions and month-long vacations instill cultural immersion and diversity. Remember: You cannot reap the individuality of your children if you duplicate their education. You have a healthy child. I get it. You’re lucky. But some people aren’t. When I was in high school, I volunteered teaching children with physical disability. I wept whenever I saw them. I wished that I’d never have to bear one for the rest of my life. Are schools willing to accommodate these unfortunate children? Some do. Most won’t. I’ve also worked with children suffering from mental illnesses. They were always anxious. They had trouble focusing. And sometimes, self-destructive. What are schools doing about it? Nothing! In fact, society labels them, and would place them in “special” learning centers. What if your child is neither of the above—it’s just that she learns at a slower pace? In schools, if you can’t keep up with the crowd, your grades will be poor, and you might end up repeating a whole year. Or what if your child is smarter than the norm? A genius who challenges the teachers and the status quo? Well, most likely he’ll get sent to the principal’s office for insubordination and disorderly conduct. There are others. More and more children are becoming ambassadors, athletes, entrepreneurs, public figures—whatever. Should parents take away their interests for the sake of conformity? No matter the circumstances, I choose personalized education because it takes authority out of the picture. It gives learners the freedom to pace themselves according to each individual trait and condition. It gives students the ability to choose what tools and resources work for them. You know, it’s perfectly normal to learn about dinosaurs when you are forty. You don’t need to know them when you’re five or six. It’s fine to start fractions when you are fifteen. You don’t have to study them when you’re seven. And if you’re lucky enough to raise naturally gifted children, it’s your privilege to take them to college classes at nine or ten, and to allow them graduate university before they turn eighteen. Remember: Thomas Edison and Albert Einstein were both deranged pupils. Perhaps, this dependance on an outside authority to tell us what to learn, when to learn, where to learn, who to learn from, and why should we learn is an effect of own schooling. “That is your teacher’s self-projection,” I humbly replied. “You don’t think that’s true?” she countered. But how do you tell whether the textbooks are any good? Is this history book widely used in schools because of its excellence or its publisher’s marketing skills? Is that three-year-old science book good, or is it out of date already? What if your child is fascinated by the Renaissance? Or what if he’s interested in Einstein’s Theory of Relativity?—something that is not commonly taught in primary nor secondary schools. What if your child learns better using multimedia and technology instead of books? What if she prefers learning through observation and experience? Or with cooperative and hands-on learning? What do you do? I choose personalized education because children have access to vast learning resources. They become voracious with research. They become inquisitive about authenthicity. They become more involved within the community. They become self-reliant. And as a result, some even go the extra mile and manage to turn themselves inside out into public figures and prominent members of society. Just to tantalize you, here’s a tiny sampling of what’s available besides the usual “textbook” material. Public and University Libraries - Check out a mountain of books. Scout for videos, magazines, and pamphlets. Volunteer. Sometimes I even took naps. Community Resources - Studios. Clubs. Local theaters. Symphony halls. And so on. Bookstores - New, used, trade, or even rare books, they’ve got them all. Museums and Cultural Sites - Work. Volunteer. Spend time in the galleries. Join a group. Take a tour. Etc. Medical Facilities - Do research for a staff. Volunteer. Shadow a doctor. Agriculture - Visit a farm. Learn the methods and techniques of urban farming. Manufacturing - Interested in automobiles? Email Elon Musk and ask for a tour of his Tesla factory. Apply for an internship. You may even land a job. Civics and Government - Attend a trial for a day. Take a ride with a police officer or fire fighter. Write to a government official. Volunteer in a political campaign. Sports and Outdoor Facilities - Youth sports league: baseball, soccer, basketball; you name it. Visit (or volunteer in) parks and nature centers. Nonprofit Organizations - Youth groups, food banks, Red Cross, Habitat for Humanity, Special Olympic; the list is endless. Travel - Follow the Oregon Trail. Visit the Silk Road. Or, you might just visit the back road and interesting locals: maple sugar making, candle factory, cheese making, beer brewing, and so on. Special Interest Groups - Do TED talks. Join local cultural and ethnic societies. Play chess in parks. Participate in drama clubs. The Internet - Everything you need is here; from the Smithsonian to the Library of Congress, from blogs to YouTube, from Google Scholars to free Harvard and MIT lectures. Then there’s the issue of safety. Over the past several decades, gun violence in U.S. schools have been on the rise. Since 2013, there’s been 290 school shootings. Last year, in 2018, there were 20 documented incidents. That puts us at a rate of ONE shooting every fortnight. Gun violence is not the only issue, however. There are millions of unreported bullying cases happening across schools. 43.5% of accused school shooter were bullied. 70% of them are describes as loners. And more than 3.5 million people in the U.S. are diagnosed with schizophrenia. From the above data, there seems to be a direct correlation between non-associative students being bullied and, as a result, were diagnosed with some form of destructive mental illness. There’s more. Drug abuse is also becoming more and more prevalent among teenagers. Amidst the reported cases, 15% were done by middle schoolers, 33% by sophomores, and 44% by high school seniors. The more reason to pull your kids out of school. One last thing: sexual assault and physical abuse. Sexual misconduct to a minor is any parent’s worse nightmare. Many psychological effects of child sexual abuse are seen in children of any age, including behavioral, cognitive and psychological effects. Substance abuse, eating disorders and low self-esteem can also occur as a result of child sexual abuse. I choose personalized education because children have the right to safety. They should be in a learning environment that is peaceful and non-violent, away from the guns, bullies, sexual and physical abuse, as well as drugs. Alex lives in Shanghai with his mother and little sister. While his father, well, he lives and works in Hong Kong. Alex’s parents are still together, but because schools in Hong Kong are highly competitive, his parents had decided to enroll him in one of Shanghai’s prestigious and less stressful international schools. His father would fly back to visit the family during the holidays. Both Alex and his sister are growing up without a father. Jim and Laura travel nine or more months of the year together for work. They spend from a few weeks to five or six months in each location, but they keep their permanent residence in New York. It is very difficult to take along everything they’d like. Their son, Daniel, have to start over making new friends often and leave his close friends behind. They have to follow state regulations in locations where they spend more than a few weeks and put Daniel in different schools. Even though travel opens up a whole world of possibilities for learning, it makes their daily lives much harder. George and Kara and their three beautiful daughters have been relocated to a rural Sumatran village in Indonesia. George is an environmentalist and a professional nature photographer. Their lodging is surrounded by dirt and unpaved road, and is at least 20 miles away from the nearest town with a decent education facility. The daughters spend five hours each day, six days a week, walking from home then taking the bus to school, and back. One hundred and twenty-five hours a month. In one hundred twenty-five hours, kids can WRITE a book, LEARN a new skill, spend TIME with family, START a business. ONE month. Now imagine TWELVE. Three different families, three different conditions, but with the same problem: geographic restriction. I choose personalized education because your geographic location becomes irrelevant. Your children can focus on learning no matter where your family lives. Want to take that three months vacation trekking the Appalachian Trail? Go for it! While you’re at it, take the kids with you. They’ll learn more about the natural world than any school could offer. Do your hikes in the morning and they’ll keep up with their tasks later in the day. You’re a nomad and you move a lot. I feel envious of you. Personalize your children’s education and they can follow whenever you bounce from one place to another. They can’t go wrong by following their parents. Quite possibly, they will receive the most valuable life education ever learned. Are you a military family stationed overseas? Is your family living a few miles out of the nearest town? Does your family live on a fifty-foot ketch and sails around the world? Don’t worry! Because online personalized education can be done even if you’re geographically isolated—as long as you are connected. “Education need not be formal. But then, how important is school? Since we do not know what knowledge will be needed in the future, it is senseless to implant everything and prepare in advance. Instead, we should encourage children who love learning to instill whatever needs to be learned. 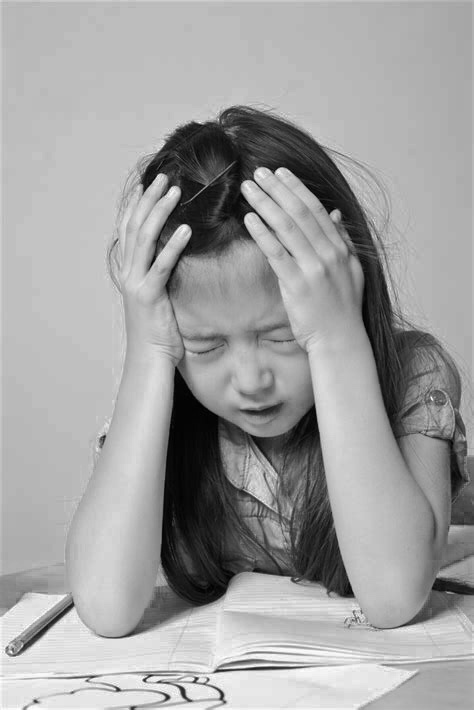 If adults continually force children to fulfill their prescriptions, they will become anxious and timid. They will use all their energy, not to explore the unknown, but to escape the pressure we put on them. It is far more fruitful to evaluate their intentions than it is to force our cravings, as forcing is always short-lived. Our role as parents is not to force them to follow a “guide” that we’ve laid out for them—which by the way, a guide should be voluntary, not mandatory. Instead, we should help them develop the necessary skills to determine the kind of life that is right for them. We should modify their education, not by which courses to enroll, but by what they need according to each individual trait. This is what I mean by personalizing their education. We should help them discover the things they love and what motivates them. We should move away from a model that is dependent on parental pressure to the one that nurtures the child’s voraciousness. After all, they need to swim their own race and make their own independent decisions—but also correct their course, if necessary—for the rest of their lives. What I am trying to say is: Trust Children. But in order to do that we must learn to trust ourselves. And since as children we were taught to be untrustworthy, this is the most difficult thing to accomplish. Our greatest calamity is that we know too much. We “think” we know and that is our misfortune; so we never discover. I like planting seeds. Whenever I engage student in a dialogue, it is usually done to implant an idea (or ideas) and let that idea(s) take root. And that’s what Shuhan and I, conversed, midway through reading “Who is J.K. Rowling” yesterday. William: What do we know so far? Shuhan: Well, Jo (J.K. Rowling’s nickname) always liked to write. She’d write every day. She didn’t like her job but she’d always write when she’s not working. W: Many writers have similar beginning struggles in life. They’re always afraid their work may not be well received by readers. They’re always worried that they can’t earn any money by writing. So many writer wannabes end up working at jobs they hate. But for Jo, she kept writing. She kept following her heart. How many years did it took her to publish the first Harry Potter book? W: If you think about it, seven years is a lifetime (writing the first draft, proofreading it, and then rewriting it over and over again). She didn’t write it because someone told her to write imaginative characters. She didn’t write because her teachers assigned it as homework. S: Actually, her teachers were not very good. W: Yes. She spent seven years because she wanted to write. Nobody pushed her to write. Not her parents. Not her teachers. She did it because she followed what her heart always longed for. S: I always want to be a writer. W: If you want to take Jo’s advice, then start writing. If you want to write because your heart guides you in that direction; because you are a creator; because nobody pushes you to write, then you are a writer. S: So write because I want to, not when someone tells me to write. W: Tell me, do you read Chinese poetry? W: Now, do you think those poets wrote poems because they were homework? Or because their parents told them? W: You’re right. So whether you’re reading Chinese or American poetry, poets write because they want to write. They’re born to be writers. They’d go out in nature, see the clouds, and the birds, and the trees, and the rain, and they’d express their imaginations and words on paper. W: I try to write every day. But now, I don’t plan my writings anymore. I just follow my heart. If I want to write that day, I just write. Due to the nature of my work, usually my writings have something to teach. They have lessons embedded in them. Otherwise, there’d be no purpose for me to write. W: I don’t care how many people will like them. I don’t care if they’ll make any money. I just sit and write. So in say, five years from now, I’ll have a lot of words and pages. Then all I have to do is string them together with a single purpose in mind (remember: everything has a purpose). And maybe, just maybe, I’ll publish them into a book. W: So... will you do it? Will you start writing every day because it is what you want to do? Understand: Children always gravitate toward something. Follow that, and they’ll show you something you’ve never seen before.